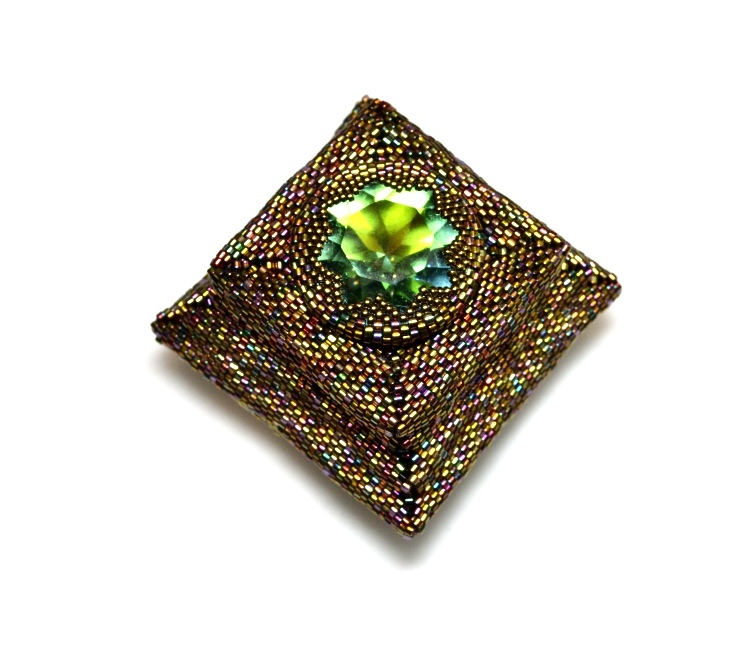 Learn how to use geometric beading techniques to create a stunning and sparkling beaded box that stands on its own beaded feet. 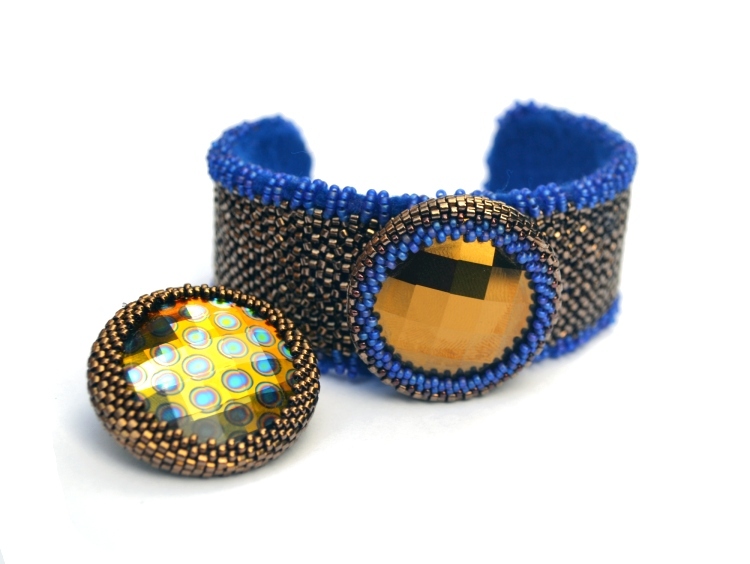 This advanced workshop is a masterclass in basic geometric beadwork techniques with added decoration and interest! 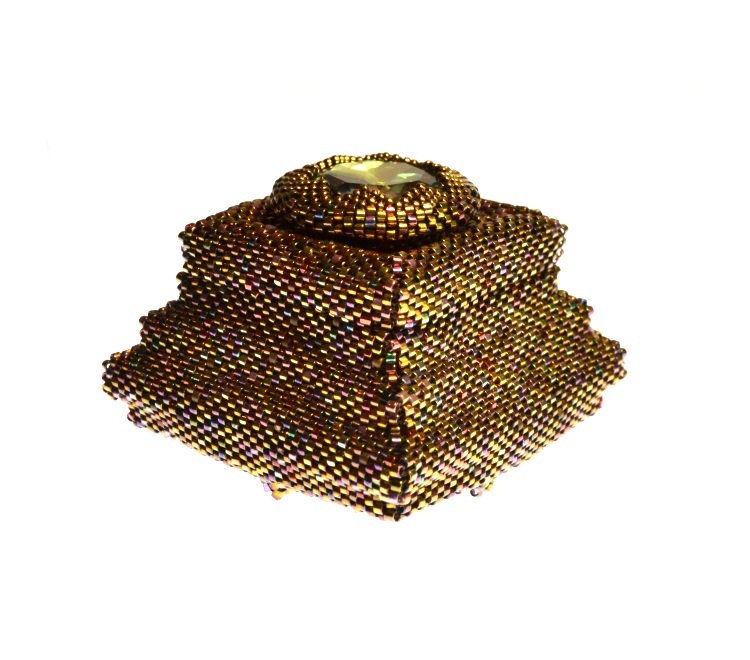 The lid has a large crystal centrepiece with optional star design and is based on a square shape to compliment the square base. 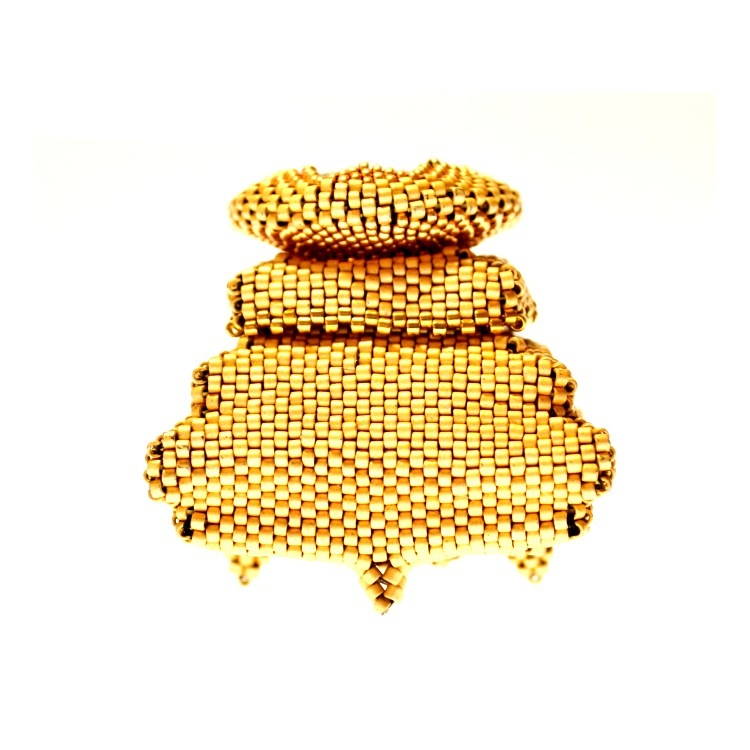 In addition the class will also cover how you can use the bezelled crystal to make an interchangeable cuff/ pendant.